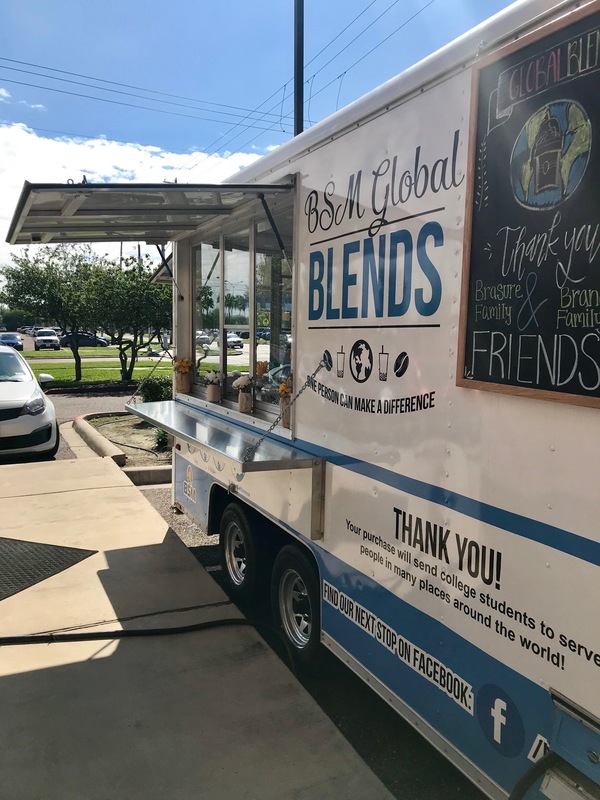 EDINBURG—The BSM Global Blends mobile food truck is a new opportunity for students in the Baptist Student Ministry (BSM) at the University of Texas at Rio Grande Valley (UTRGV) to raise money for missions and engage the campus with the Gospel. The recently refurbished truck was dedicated on Thursday, March 21 and is equipped with all the necessities to serve smoothies, blended coffee and other beverages. BSM students make and serve the drinks for patrons, with proceeds used to benefit student mission trips. According to Robert Rueda, BSM director at UTRGV, the purpose of the food truck is to minister to people and reach students for Christ. In addition to serving the campus, Rueda also sees the potential to use the food truck as a way to share the Gospel with students. Within the first week of opening, BSM students had opportunities for ministry, as a UTRGV professor brought 50 freshmen to the BSM building for his class. Plans are underway to use BSM Global Blends at the University’s Welcome Week in the fall, and to minister to athletes and other student groups throughout the year. The BSM received the donated trailer from the Rio Grande Baptist Association. Through the support of generous donors who caught the vision of the project, they were able to refurbish it to become a mobile food truck. It is equipped with blenders, a refrigerator/freezer, sinks, heater, and all the necessities to be up to code for food service. The trailer was also wrapped with the BSM Global blends logo and artwork. BSM students also developed the menu, trying out different recipes and adapting to student preferences. 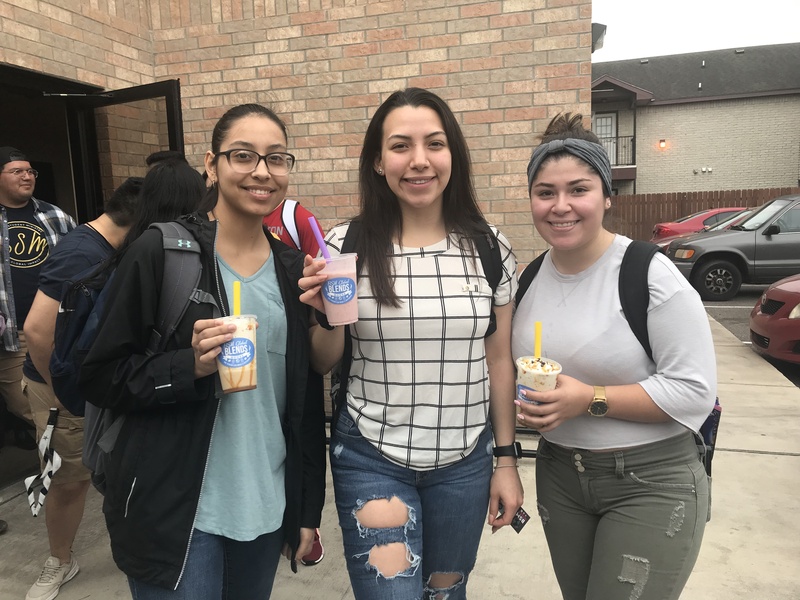 For the last six years, the students have hosted the BSM Global Blends on Thursday evenings at the BSM building on the UTRGV campus. They make and serve the beverages to fellow students and raise money for missions. The mobile food truck was a natural progression of that ministry to be able to serve more people beyond the BSM building. “They have already been doing this for several years, which is how we knew it would work,” said Rueda.